ClickToFlash allows Safari users to isolate Flash content on the web so that it only plays when they choose to allow it. Flash content is replaced with a bounding box that enables the user to ignore the item (such as with ads) or to click the placeholder to activate Flash playback as desired. 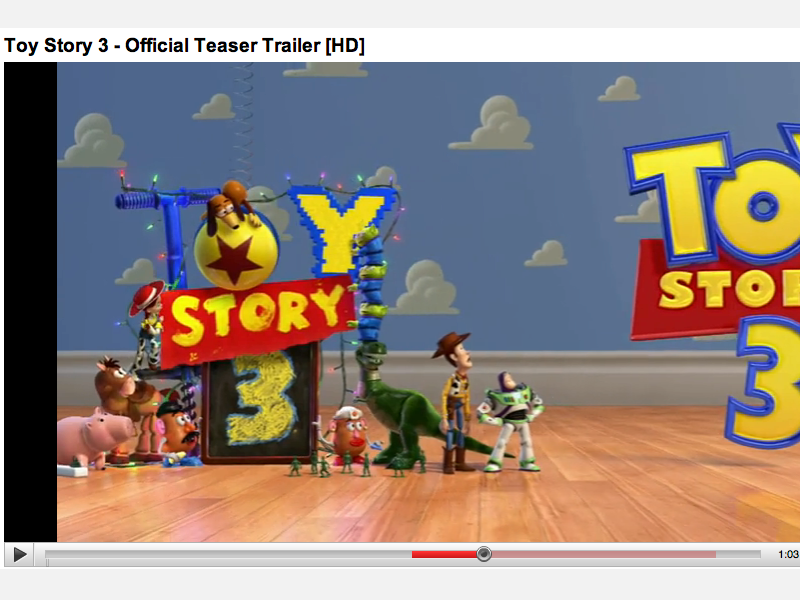 Additionally, the plugin can convert requests for YouTube Flash videos into requests for higher quality H.264 videos, allowing desktop users to bypass Flash the same way the iPhone does, and simply play any YouTube videos using the browser's own built-in HTML5 support for direct H.264 playback. 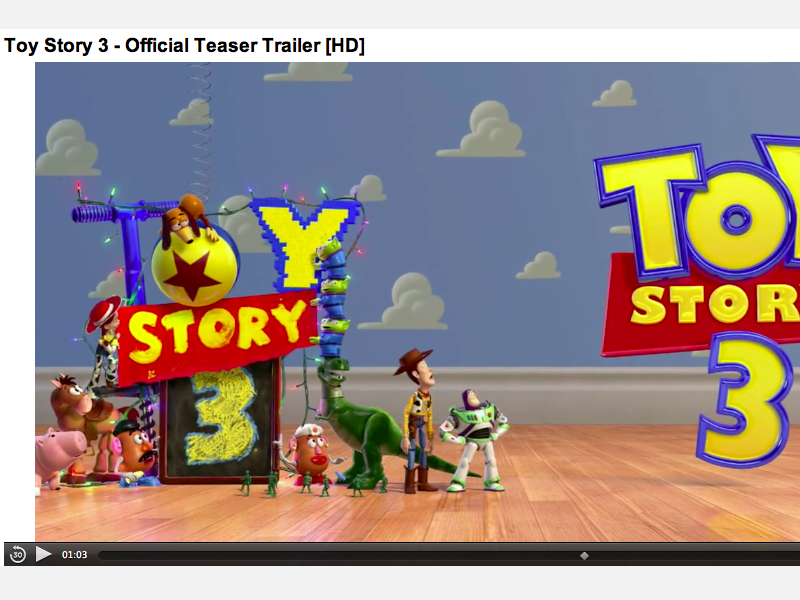 The examples below compare the same HD clip served by YouTube, first rendered using Flash with the standard grey YouTube playback controls, and then presented in H.264 using ClickToFlash to request the non-Flash version from Google. The native HTML5 version results in Safari using its own native QuickTime X playback controls rather than those created by Google using Flash. During playback, Safari's native black playback bar disappears; using the ClickToFlash plugin, the user can also present H.264 videos using full screen playback. In addition to offering better quality video and more functional and accurate playback controls for smoothly navigating through the video clip, ClickToFlash's direct playback using HTML5 prevents the Flash plugin from ever engaging and consuming CPU cycles and notebook battery life. Outside of YouTube, this means that loading web pages won't max out your processor just to animate Flash ads in the background. Any essential Flash elements, such as navigation components, can be activated by clicking on the placeholder created by ClickToFlash as desired. 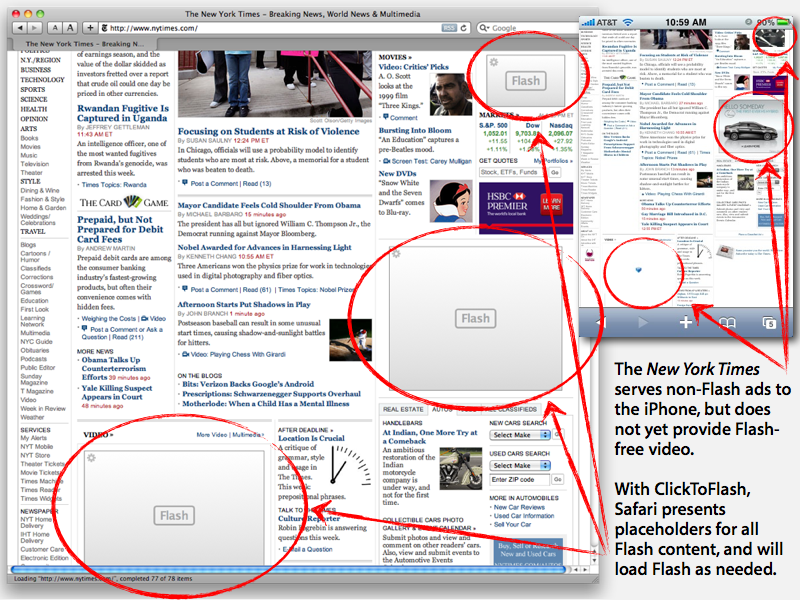 In the example below, Safari with ClickToFlash does not load Flash content on the New York Times site by default, but will load individual items at the user's request. On the iPhone, no Flash content is ever loaded nor can be. Most ad networks using Flash now sense the iPhone's user agent and supply alternative, non-Flash ad banners. As more users opt out of Flash, the ad market will follow, just as it has accommodated the iPhone. Videos will also move to H.264 in order to support modern browsers that don't need Flash just to present video clips. "One of ClickToFlash's primary goals is to eliminate as much Flash from the web as possible, allowing users to choose only the Flash they want to see," the plugin's development website says. The group asks for help in adding direct video support for other sites that currently use Flash to facilitate video playback. As support for H.264 video delivered by simple HTML5 video tags erodes the primary demand for Flash on the web, and as web developers become familiar with using HTML5's new Canvas feature to perform sophisticated drawing effects within web pages without using a plugin such as Flash or Silverlight, many observers report that Adobe will face an uphill battle to continue to push closed Flash development as an alternative to using open web standards, particularly as new initiatives such as WebGL hardware accelerated 3D begin to gain traction. On page 2 of 3: Adobe's mobile strategy for Flash, creating iPhone apps.